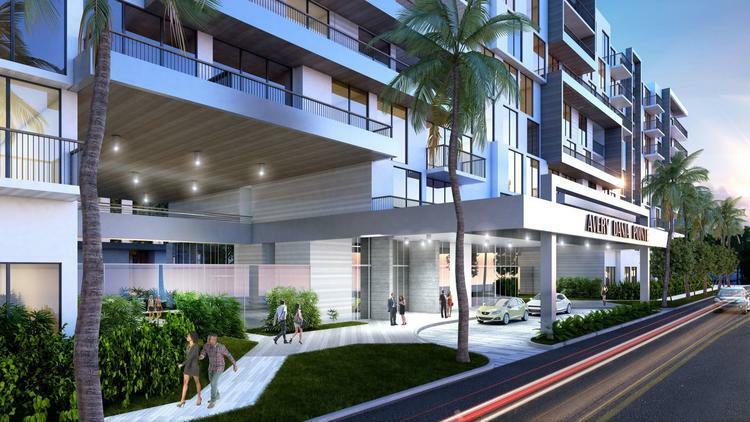 As builders of the Dania Pointe lifestyle complex in Dania Beach broke ground for the entertainment phase of their project Thursday, it was confirmed that a South Florida developer will erect 600 rental apartment units on the site west of Interstate 95. Losada said the company hopes to break ground on the first phase in August. With some units starting at $1,600 a month, the price point will sound attractive to tenants who are routinely confronted with monthly rents for smaller apartments that exceed $2,000 at new properties in South Florida downtowns. “We’re hoping to blaze a trail in providing residents with rentals they can actually afford,” Stuart Meyers, chairman and CEO of the Meyers Group, said in a statement. Amid the fanfare of a groundbreaking Thursday, Paul Puma, southern region president of Kimco Realty Corp., the Dania Pointe developer, said the company signed a lease with the national bowling alley operator Bowlmor, which will occupy more than 30,000 square feet in the entertainment complex. He also said Kimco is negotiating a lease with a movie theater company but that it’s too early to name the firm. Dania Pointe is a 102-acre redevelopment project located east of Interstate 95 and south of the Design Center of the Americas, 2 miles Fort Lauderdale-Hollywood International Airport. The project means Dania Beach is now a visitor destination, and “no longer a pass-through city,” Mayor Tamara James said Thursday. 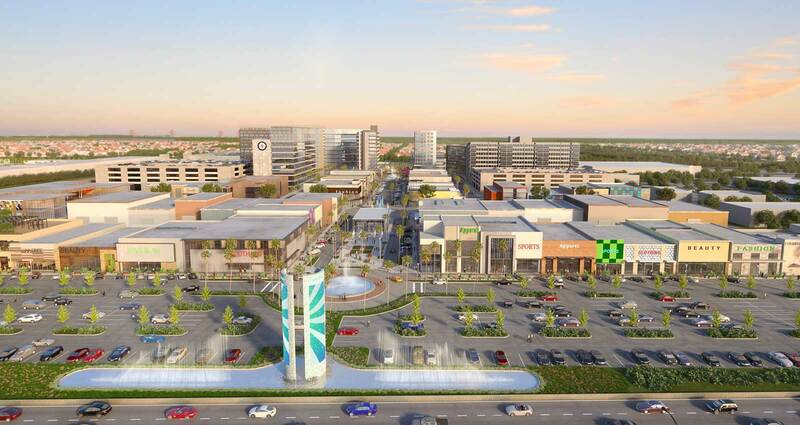 Kimco has already announced that two Marriott hotels, a Lucky’s Market and 18 restaurants will be among the many commercial occupants of the massive shopping and entertainment center. One of the Marriotts will be a full-service hotel, with the other opening under the chain’s AC Hotel brand aimed at millennials. The hotels’ development is expected to launch in 2019. Company officials said Dania Pointe is the No. 1 priority for Kimco, a publicly traded real estate investment trust based in New Hyde Park, N.Y.
Kimco also operates the Oakwood Plaza on the southern side of Stirling Road in Hollywood. At the ceremony, Puma and Hollywood Mayor Josh Levy said the company and city have informally discussed a makeover for that plaza as well. The talks are in the early stages. BrandsMart USA, TJ Maxx and Hobby Lobby, all were previously announced as tenants.